BERLIN -- German news agency dpa is reporting that hundreds of police have entered a forest that protesters are trying to stop from being chopped down for a coal mine. 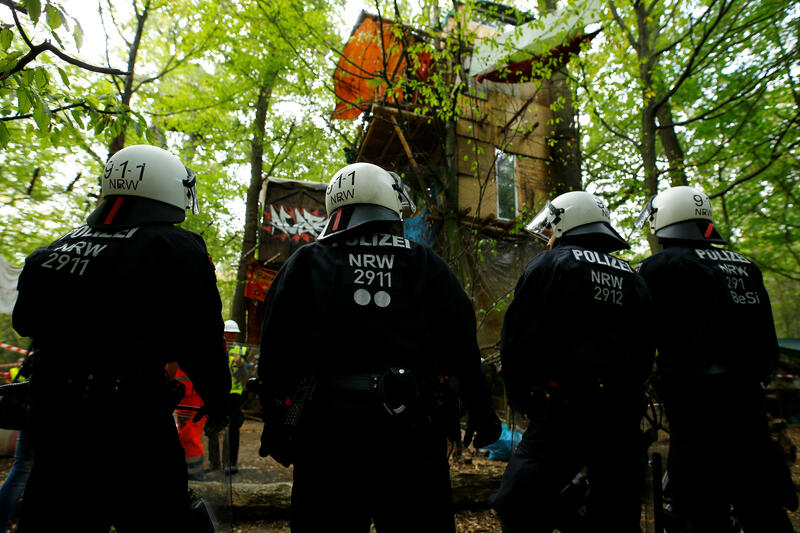 The agency reported that police are protecting workers from energy company RWE who plan to start clearing obstacles from the floor of Hambach forest Wednesday. RWE wants to cut down half of the ancient forest to expand a nearby lignite strip mine. Police in the western city of Aachen said on Twitter officers would also be searching for "objects that could be used to prepare or carry out crimes or that would be suitable for the construction of barricades."